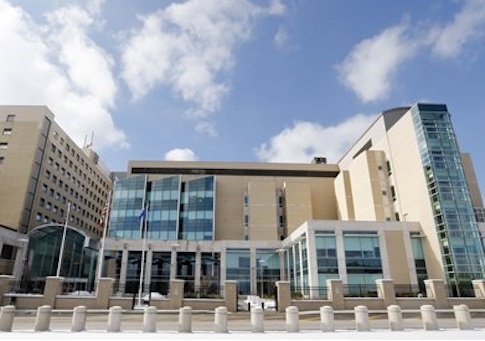 The Department of Veterans Affairs ordered a Pittsburgh VA hospital to block attempts by two congressmen to find out about hundreds of patients languishing on the hospital’s wait list, according to a CNN report. Congressional sources told CNN that Rep. Tim Murphy (R., Penn.) received a call from Pittsburgh VA director and CEO Terry Gerigk Wolf, who said that the hospital had passed an internal audit on patient wait times "with flying colors." "It is my belief the purpose of the unannounced call was not to provide me the facts on patient wait times at the Pittsburgh VA, but was a smokescreen to prevent me from understanding what exactly was going on there," Murphy told CNN. "I’ve heard the ‘all is okay’ message in midst of management failures too many times from the VA to believe it on face value ever again." The congressman compared notes with his fellow western Pennsylvanian, Democratic Rep. Mike Doyle. Doyle said that Wolf had told him something quite different—that Pittsburgh had up to 700 patients on this wait list, called the NEAR (New Enrollee Appointment Request) List, for veterans enrolling for the first time. Some of these veterans had been waiting years for their first appointment. Doyle and Murphy say they called Wolf, who told them she knew about the list three weeks before, but was told not to inform the congressional delegation about it for fear she would be fired for disclosing the information. Rep. Jeff Miller (R., Fla.), the chair of the House Veterans Affairs Committee, said immediate firings were in order if the allegations were true. "Interfering with Congress’ constitutionally mandated oversight responsibility is not just wrong, it’s against the law," Miller said. "Right now acting VA Secretary Sloan Gibson needs to immediately send a clear and powerful message that criminal behavior will not be tolerated within VA’s ranks. The only way to do this is by immediately firing anyone who directed VA officials not to speak with members of Congress." This entry was posted in Issues and tagged Frank Wolf, Obama Administration, Veterans Affairs. Bookmark the permalink.